Pierre-Emerick Aubameyang has handed in a transfer request in order to try and push through a proposed £54m move to Arsenal this month, according to reports in Germany via The Sun. Arsene Wenger is in the market for a new attacker to replace Alexis Sanchez with the Chilean international strongly tipped to join Manchester United this month after Manchester City withdrew their interest. Aubameyang has emerged as a top target with Sky Sports reporting earlier this week that Arsenal are growing increasingly optimistic of agreeing a deal with Dortmund to sign the striker. Talks are continuing between the two clubs with The Sun claiming Arsenal are hoping to agree terms over a £54m deal after Aubameyang’s relationship with Dortmund broke down over the weekend. The striker was axed from their squad to play Wolfsburg on Sunday after missing a team meeting and Dortmund boss Peter Stoger slammed the striker for his latest disciplinary issue. It seems Aubameyang is desperate to leave the Westfalonstadion as The Sun are citing a report from Bild that claims the striker has now handed in a transfer request in order to push through his move to Arsenal. Wenger has been a long-term fan of Aubameyang’s but it seems our new head of recruitment, Sven Mislintat, is the man driving the deal as he was signed the striker for Dortmund during his time at the club. The 28-year-old has become one of the most prolific strikers in the world during his time at Dortmund and he’s already netted 21 times in 23 appearances this season having scored 40 in all competitions last season. Arsenal could certainly do with that sort of firepower to help rescue what’s been a hugely disappointing season so far but we’ll have to wait and see if we can get a deal agreed with Dortmund. 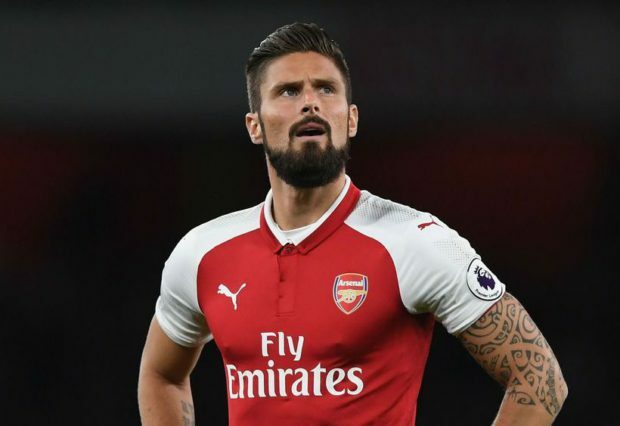 I’ve seen reports suggesting we are ready to use Olivier Giroud as bait to sign Aubameyang and that could be a tempting deal for Dortmund as they were linked with the Frenchman last summer.